As blockchain startups take off, where will they find their workforce? The onus often falls on universities to develop young people with the requisite skills. As a result, universities are now facing their own set of challenges – like finding qualified researchers willing to teach blockchain-related subjects and building industry partnerships at the risk of losing their own talent to deep-pocketed tech firms. 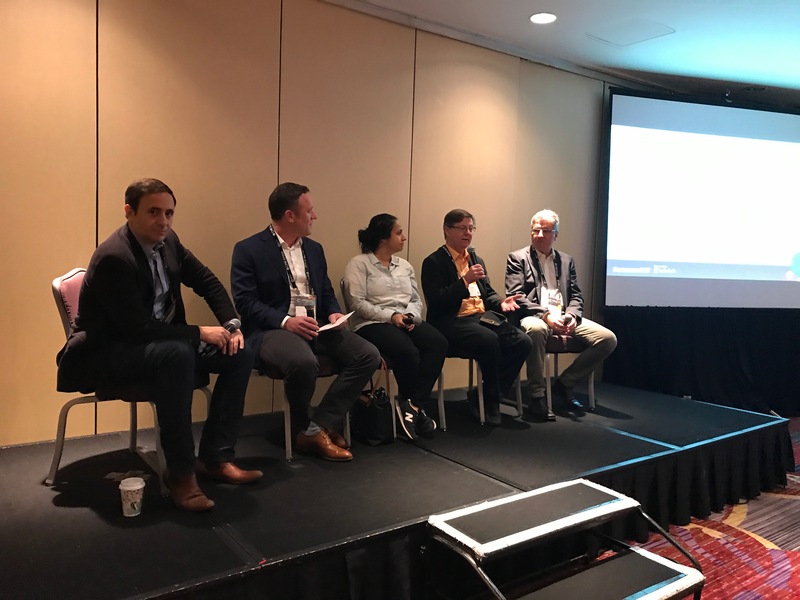 At a workshop at CoinDesk’s Consensus 2017 conference yesterday, five members of academia, representing MIT, Duke University and the University of Nicosia in Cyprus, gathered to discuss those and other issues. Among their concerns was how the extra work involved in keeping up with the rapid pace of the blockchain industry was discouraging some professors from wanting to teach in the space. Typically a professor puts together notes and slides for a course, and then reuses that material again and again, for years sometimes, explained Peter Rizun, managing editor of Ledger, a peer-reviewed journal focused on cryptocurrencies and blockchain technologies. In blockchain, though, that kind of advanced prep work is nearly impossible. Rizun shared instances where he himself would prepare for a lecture months ahead only to wake up one morning, read about a new paper or event online, and have to change everything. That adds extra cost for people teaching in the space. “Most of my colleagues will have nothing to do with it,” Rizun said. Others on the panel took the view that it was not academia’s job to keep up with the rapid pace and ongoing drama of the cryptocurrency world. “Our role is to step back, and stay independent from the day-to-day,” said Neha Narula, director of the Digital Currency Initiative at MIT. At a time when startups are plunging ahead with untested ideas, what the space needs more than anything is “careful thought,” she said. George Giaglis, a professor at University of Nicosia, added that the real focus of universities should be on teaching classes in cryptography, finance and mechanism design, thereby giving students a framework to draw their own conclusions on things like bitcoin’s ongoing block size debate. Another concern for the academics on the panel was finding a way to work closely with industry without worrying that cash-infused startups would lure away researchers and scientists with glamorous job offers. The thirst for blockchain talent and information is so great, that students who have taken only a class or two in the subject can become sought after. Campbell Harvey, a professor at Duke University, brought up the example of one student who, after taking a single class on blockchain, went on to work as an intern at a major NY law firm. Soon after, according to Harvey, that student was led into the office of the senior partner at the law firm and asked to explain ‘blockchain’ to the CEO of one of the world’s largest banks. According to MIT’s Nerula, there just are not enough trained people in the workforce to fulfill the demands for blockchain jobs. The answer? Universities should partner with industry to create training programs for students, suggested Nerula. Otherwise, she said, companies in the blockchain space will not have a workforce. Others on the panel, though, were quick to point out the dark side of working with industry. Antonis Polemitis, CEO at University of Nicosia, pointed to the example, two years ago, when Uber, flush with cash, partnered with Carnegie Mellon, a top university for the study of robotics, and ended up poaching 40 of the school’s AI researchers and scientists. “We’ve been down this road before,” he said, referring to the early ’90s, when dot-com companies began buying up huge chunks of academia. Regardless, he said, research centers survived, adding that people choose careers in academia for reasons other than money, such as prestige and the opportunity to do good and contribute to the world in ways that business does not always allow.